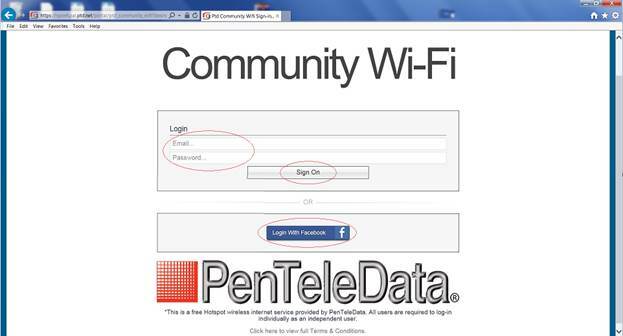 You no longer need to sign up for PenTeleData Community WiFi in order to log on; simply sign in! Follow the steps below, which will walk you through the sign in process. 1. 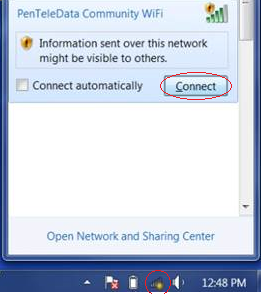 Click your ‘Wireless Network Connection’ icon on your task bar to view the available wireless network connections around you. 2. Find the “PenTeleData Community WiFi” connection in your list of available wireless networks, and click “Connect”. First, open any web browser (Internet Explorer, Mozilla Firefox, Google Chrome, etc.). Using your Facebook login credentials. 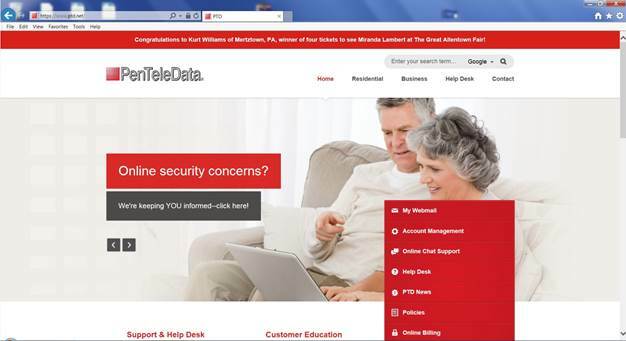 Step 5: Once you have successfully logged in, you will be redirected to https://www.ptd.net. You now have internet access!